The Neo IS707 RJ 3.6 Metre Ethernet cable delivers advanced noise protection by enabling 10G Base-T 600MHz performance. 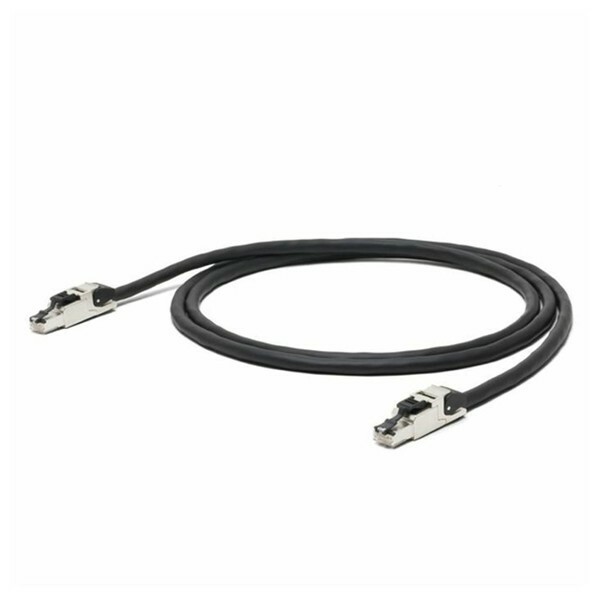 Featuring twisted pair wires that are individually shielded with an aluminium film, and an overall shielding of a tin-copper braid, the IS707 suppresses unwanted crosstalk, exogenous noise, and radiation noise. The 24 AWG solid oxygen free copper wires feature 1.25 percent silver plating, and are housed inside low-dielectric foamed polyethylene insulation to maintain high frequencies and maintain accurate and consistent conductor resistance figures. The heavy duty die-cast Cat.6A RJ45 plug ensures astounding durability whilst further preventing external interference, with an easy-to-connect latch to prevent hassle-free installation in confined spaces.